This ebook includes both the text and the photos of the original two volume hardcover set. Each of the almost 1000 photos is available twice. The first time the photos appear dispersed through the text close to where each photo is first mentioned. And the second time all photos are together in one place, the same way this material was originally published - text and photos separate. Having the photos included with the text avoids the constant reference to another volume. But having them also together by themselves allows for a stop-motion-like viewing of the action. 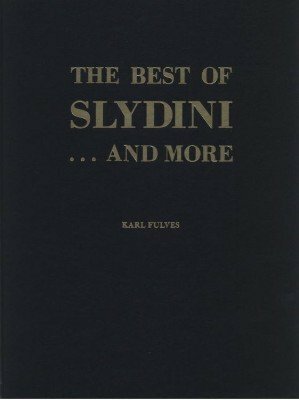 It is easy to sing the praises for Slydini. He was one of the most influential close-up magicians of recent history. Probably nobody sufficiently knowledgeable in magic will dispute this. The only other names which I would mention in the same breath are Dai Vernon, Edward Marlo and Arturo Ascanio. (I am excluding any living masters from this list or magicians far into the past.) Slydini had this incredible smooth style and lovable personality. He also created his very unique method of misdirection, which Karl Fulves has tried to capture in this volume. You will find several legendary routines and effective moves. The continuation of this work can be found in The Magical World of Slydini . Studying Slydini is a lifelong task. His teachings are rich and not necessarily easily accessible or understandable. This ebook is one of the cornerstones of studying Slydini. (Another one which goes deeper into the meaning and reasoning behind Slydini's misdirection is The Master of Misdirection by his student D. Angelo Ferri). 1st edition 1976, 234 pages; 1st digital edition 2015, 420 pages.